Critics have welcomed changes but say they do not address the fact schools cannot hire secular pastoral care workers. The commonwealth government has moved to add safeguards to the controversial chaplains program, including a new requirement that states maintain a register of complaints against religious chaplains. A new agreement with state and territory governments seeks to address concerns that the program lacks transparency after Guardian Australia revealed not all jurisdictions were centrally recording complaints against the program. Critics of the program welcomed the changes but warned they do nothing to address the fact schools cannot hire secular pastoral care workers. 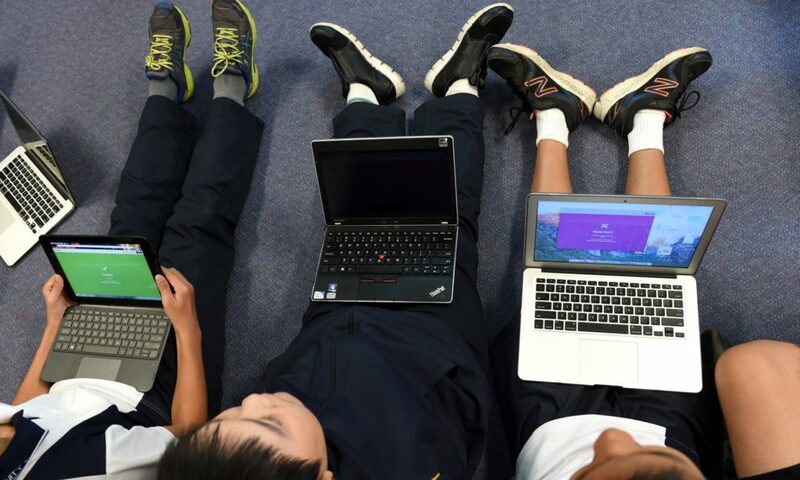 In October the education minister Dan Tehan wrote to states and territories proposing a new agreement for a four-year extension of the program after the Coalition gave it $247m in the 2018 budget. Before 2015, complaints against the chaplains program were recorded by the federal education department. That safeguard broke down when the high court ruled in 2014 that the commonwealth could not fund the program directly, after which the commonwealth has relied on grants to state and territory governments to administer it. After revelations New South Wales, Queensland and Western Australia were not centrally recording complaints, the new agreement requires states to maintain a state-wide register. States and territories will have more input into the training package for chaplains and more information will be published on selection processes, lists of funded schools, the role of the school and the chaplain guidelines, process for handling complaints, and the listing of chaplaincy providers. Tehan told Guardian Australia four states have already signed the new agreement, which will be published “when it is finalised”. The Greens education spokeswoman, Mehreen Faruqi, said it was “shameful” the government “is only now talking about a transparent complaints register”. “This whole program is a monumental mess,” she said. “Time and time again we hear complaints that taxpayer dollars are being used to spread religion in schools under the facade of this program. Meredith Doig, the president of the Rationalist Society, told Guardian Australia that the complaints register was “overdue but welcome”. But she said transparency measures “do not fix the fundamental problem, which is that the whole program discriminates against suitably qualified non-religious youth workers”. A spokeswoman for the Queensland Parents for Secular State Schools said the chaplaincy program “has always been about giving evangelical Christians access to public school children” and the new measures did nothing but “[try] to make a sow’s ear look like a silk purse”. In 2015 an Australian Human Rights Commission report stated that complaints had been raised about the chaplains program at almost all of its public consultation meetings on “rights and responsibilities”. But in 2018 the commission refused to initiate a review of the program despite a formal complaint that the program infringes freedom of religion. An independent review commissioned by the education department foundthat overall support for the program is high but understanding of the program is low and almost one in five public school parents objected to religious views being shared with their children through school chaplains. In the 2018 budget the Turnbull government extended the program for a further four years with a new anti-bullying focus after lobbying from Liberal-National party MP Luke Howarth. The new chaplaincy program agreement requires chaplains to undertake free professional education on cyberbullying provided by the Office of the eSafety Commissioner. Doig said the new e-safety focus of chaplains is evidence the role is “more that of a youth worker rather than the traditional religious chaplain”. Western Australia signed up to the new agreement on 12 November and will receive $21,500 for chaplains in metropolitan and regional schools and $25,750 for remote schools in 2019. Victoria – which already has a complaints process for chaplains – and New South Wales have also signed. Victorian education minister James Merlino said chaplains are “just one part of a wide variety of resources and supports that are available to students”. “This includes our recent announcement to fund access to a mental health worker in every government secondary school in the state,” he said. In September Guardian Australia revealed the largest provider of school chaplains, Scripture Union Queensland, has been the subject of a complaint to the tax office questioning whether it has breached its tax deductibility status to collect $33m in donations.